The CornerStone – ANSI 107 Class 2 Long Sleeve Safety T-Shirt Style CS401LS is available in Adult Sizes: XS-4XL. 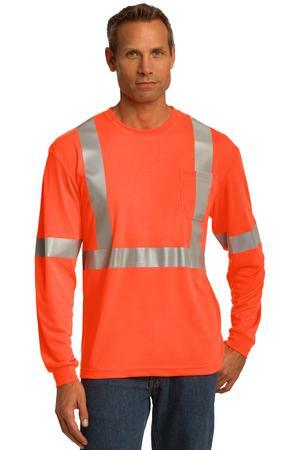 This long sleeve high visibility t-shirt is ANSI/ISEA 107 Class 2 certified and features moisture wicking technology. Be the first to review “CornerStone – ANSI 107 Class 2 Long Sleeve Safety T-Shirt Style CS401LS” Click here to cancel reply.